Dry mouth can be uncomfortable and inconvenient, and it can even play a role in your oral health. This is why it is important to meet with your dentist in Tucson and come up with an appropriate treatment plan for your situation. In the meantime, read on for a look at the causes and solutions of dry mouth. A dry mouth may be suffering from the side effects of certain health conditions such as diabetes or cancer, especially if these conditions are not being treated. Diabetes causes you to go to the bathroom more frequently, which can quickly dehydrate you and dry out your mouth. Chemotherapy used in the treatment of different types of cancer also leads to dry mouth, as it severely inhibits the salivary glands from producing saliva. If you suffer from these health conditions, seek treatment and drink plenty of water to combat dry mouth. Dry mouth features a catch twenty-two in that both health conditions and medicines can lead to this issue. Dry mouth is a common side effect of medications that treat all sorts of diseases, viruses, and disorders. From prescribed anti-depressants to over the counter antihistamines, many medications reduce the amount of saliva in your mouth. Talk to your doctor about switching to a different kind of medication, and always update your dentist on what types of medications you are taking. Older individuals are more susceptible to dry mouth for a few important reasons. First, older people tend to suffer from diseases with more frequency than younger people. Thus, they are also more likely to take several medications. These factors come together to readily cause dry mouth. Older individuals should stay in contact with their doctors and dentists to mediate this problem. For more information about the causes and solutions of dry mouth, call John Carson, DDS at (520) 514-7203. 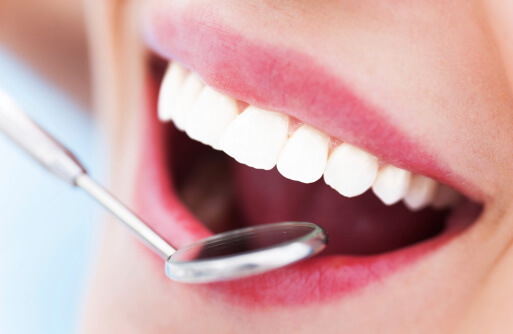 Specializing in cosmetic dentistry in Tucson, Dr. Carson provides the area with a number of treatments including dental crowns and teeth whitening. Feel free to visit Dr. Carson’s website if you are interested in finding out more about his dental practice. Many people are aware of the dangers of smoking and the ways it can impact general health, but it can also affect your oral health. Smokers may rely more heavily on teeth whitening in Tucson due to the tooth discoloration they experience, and tobacco can aggravate a number of oral conditions. Here are a few tips for kicking the habit. Cold turkey might sound advantageous in that it can potentially get you to your end goal more quickly, but it is not an easy task to pull off. Many smokers tend to find success in quitting by gradually weaning themselves off of their smokes of choice. When it comes to addiction, it is extremely difficult to turn your habit a full 180 degrees around at once. It is important to be patient with yourself and steadily continue in the right direction. There are many smoking triggers that might have you instinctively reach into your shirt pocket for your cigarettes. When attempting to quit smoking, it helps to stay away from situations that would normally provoke you to smoke. Next time your friends go out for a cigarette, wait inside and consider the extensive teeth whitening treatments they may go through in the future. Although they grow rarer and rarer in today’s society, it is wise to stay away from areas where people smoke inside; the aroma and sight of the smoke may act as triggers. Your doctor may be able to provide you with one of many different types of medications that can help you quit smoking. You can then talk to your dentist and find out about teeth whitening treatments that can make it look like you have never smoked a day in your life. Kicking the tobacco habit will bolster your teeth and oral health as well as make your dentist in Tucson happy. John Carson, DDS provides the Tucson area with exceptional dentistry. If you would like to learn more about his services, feel free to visit his website or call (520) 514-7203. Implant dentistry can help you restore function to your teeth as well as enjoy a brand new smile. 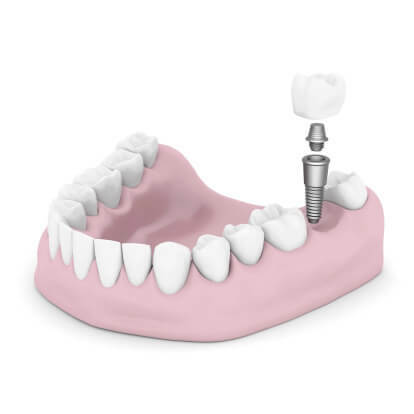 If you have been considering talking to your dentist in Tucson about dental implants, you may have a few questions about the procedure. Here is an overview of a few fast facts about implant dentistry. There are a few factors that determine your candidacy for implant dentistry. An eligible patient will have enough mass in the jawbone to be able to support the implant. If you want dental implants, you should also be in good health both orally and generally. Individuals who have gingivitis or periodontal disease are not the best candidates for dental implant treatment. Talk to your dentist to find out if you are eligible for this procedure. Your dentist can use dental implants in a number of situations. This type of treatment can replace a single tooth when one is knocked out, or it can replace a whole section of teeth. Your dentist can even replace your entire set of teeth using implant dentistry procedures. While some people are painfully aware of their teeth grinding habit, others have no idea that they are affected by bruxism. Without assistance from your dentist in Tucson, however, this could be problematic either way. Read on for a quick look at how teeth grinding could be damaging your smile. If you feel like you can never catch a break, the consistent stress you deal with may catch up with you in a number of ways. People who deal with stress and anxiety on a regular basis may be more likely to grind their teeth as a result. This can lead to serious consequences regarding your oral health and the strength of your teeth. Stress-related tooth grinding can damage your enamel and cause your teeth to become sensitive. If you have developed a grinding habit because of these factors, consider meditating or finding some way to relax every day. You may be able to save your smile in doing so. 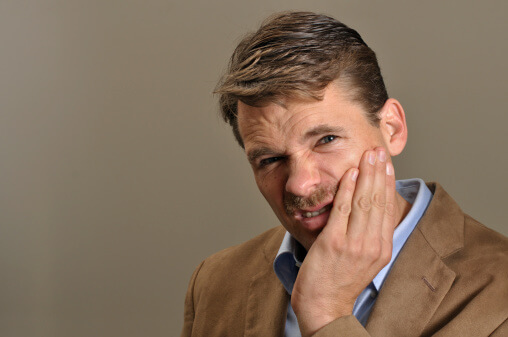 Those who suffer from particularly severe teeth grinding habits may experience a range of symptoms including headaches and soreness of the jaw. Unfortunately for your oral health, this issue can go as far as fracturing your teeth. If you notice that your teeth are uncomfortable or in pain, it is wise to talk to your dentist as soon as you can. This tends to be a greater concern in adults, since children’s teeth are still changing. Some people who suffer from bruxism may not even be aware of their issue, because it often occurs to people while they sleep. If bruxism is damaging your smile, it is important to talk to your dentist about possible treatment methods. Your dentist can offer you a custom mouth guard that you will wear at night in order to protect your teeth from grinding. Are you afraid that teeth grinding could be damaging your smile? Contact John Carson, DDS or visit his website. Dr. Carson offers exceptional dentistry in Tucson. Call (520) 514-7203 for more information about Dr. Carson’s cosmetic dentistry services. Jaw pain can be an annoyance and a distraction in itself, but it can also lead to headaches and other complications. If you experience jaw pain, it is wise to talk to your dentist in Tucson about what you can do to alleviate this sensation. Keep reading for a few tips to relieve your jaw pain. If you want to reduce discomfort associated with TMJ or other jaw problems, it is important to exercise the proper habits. Certain habits that might seem harmless can actually exaggerate your jaw pain. Remember to keep your teeth apart, rather than clenched, when you are relaxed. If you have a habit of biting your fingernails or your lower lip, it is in your best interested to kick that habit as soon as possible. It is also wise to see your dentist on a routine basis. Practicing these habits can help to alleviate your pain. You can also use heat and cold packs to address your jaw pain. A hot or cold compress that you hold against your face can go a long way in reducing your pain and helping you to become comfortable. If you are experiencing jaw pain know that while these tips may help until you see your dentist it is important to see your dentist. Please do not hesitate to contact John Carson, DDS or visit his website. Dr. Carson treats TMJ in addition to providing root canals and dental crowns in Tucson. For more information about Dr. Carson’s Exceptional Dental practice, feel free to call the office at (520) 514-7203 today. Brushing, flossing, and visiting your dentist in Tucson are all essential elements of dental hygiene and oral health. However, many people are confused as to the order in which they should brush and floss. If you are among these people, read on to find out whether you should brush or floss first. There are many theories floating around suggesting that it is better to brush your teeth before you floss. Some dental professionals claim that brushing first is better because of the fluoride in your toothpaste. Flossing your teeth after you brush them may allow the fluoride to find its way between the teeth more easily. It is important, however, that you brush your teeth using the proper technique. Hold your toothbrush at a 45-degree angle when brushing, and switch to a vertical motion for the backs of your front teeth. While flossing helps to remove bacteria from between your teeth, brushing can protect and bolster your enamel with the help of your fluoride toothpaste. Whether you brush first or last, be sure to brush properly. The idea behind the benefit of flossing first is that flossing is not necessarily a pleasurable activity to engage in. It can be time consuming and uncomfortable for some people, so some professionals suggest that you get it out of the way first. However, this order has no proven bearing on its effectiveness. Whether you brush your teeth and then floss or floss before brushing, the important part is that you do both. These two activities are essential steps in practicing dental hygiene and enjoying top oral health for the rest of your life. Remember to brush twice each day and floss once, whether you do so before or after brushing. In addition to brushing and flossing, it is important to see your dentist in Tucson on a regular basis. John Carson, DDS is happy to offer dental crowns, teeth whitening, and other preventive and cosmetic dentistry procedures in Tucson. Feel free to visit his website or call the office at (520) 514-7203 for more information about his services.